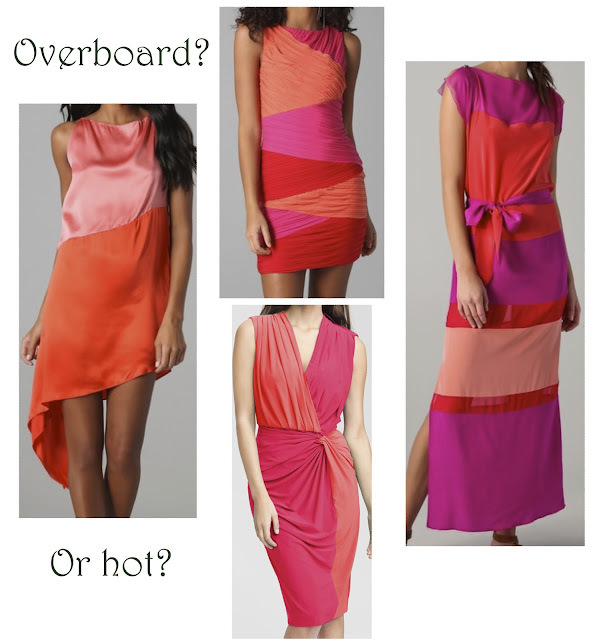 Shemmy Shemmy Shake Shake: Red / Pink Craze -- Overboard or Hot? Red / Pink Craze -- Overboard or Hot? I was so into this when I posted about SJP's look here last September, but I feel the fashion statement kind of went overboard. 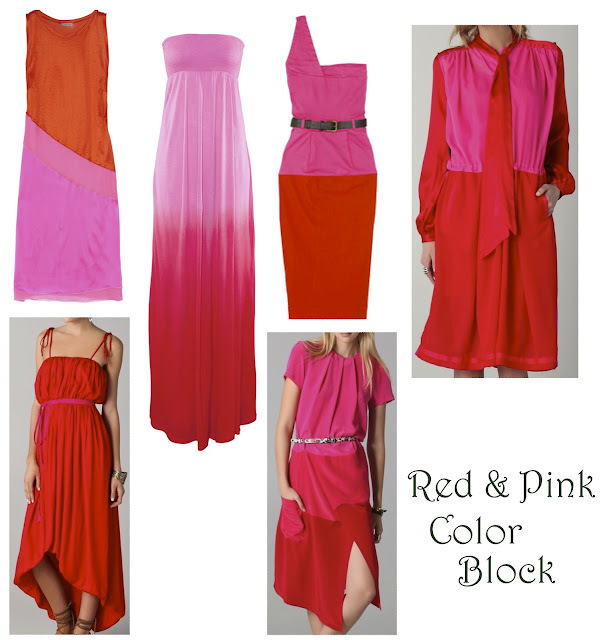 Every retailer it seems offers this color combo in a color block dress. Anyone else with me on this or are you digging to trend all summer long? i wasn't a huge fan then and i don't like how it looks now either. pass. lol!